Fuller will miss the rest of the season with a torn ACL. Analysis: With Fuller done for the season, DeAndre Hopkins will continue to head the Texans' wideout corps, with Keke Coutee (hamstring) a candidate to see an expanded profile in the team's offense once he's healthy. The Texans believe that Fuller tore his ACL on the play where he injured his right knee in Thursday night's win over the Dolphins, John McClain of the Houston Chronicle reports. Analysis: Fuller will have an MRI on Friday to confirm the nature of his injury. This could be a devastating blow if true. Bruce Ellington (hamstring) is already out for the season and Keke Coutee missed this game with a hamstring injury. Fuller injured his knee in the fourth quarter of Thursday's game against the Dolphins and will not return. Fuller (hip) was listed as a full practice participant all week and doesn't have a designation on the final injury report for Thursday's game against Miami. Analysis: The Houston wide receivers have been a consistent presence on the injury report this season, with Fuller, DeAndre Hopkins and Keke Coutee (hamstring) all banged up nearly every week. Fuller and Hopkins have been cleared for Thursday's game, while Coutee has been ruled out for a fourth time in eight weeks. Fuller could get a soft matchup against Bobby McCain if the Dolphins put top cornerback Xavien Howard on Hopkins for most of the night. 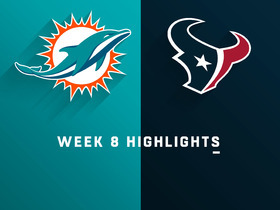 Fuller brought in six of eight targets for 68 yards in the Texans' 20-7 win over the Jaguars on Sunday. Fuller (hip) doesn't carry an injury designation into Sunday's game against the Jaguars. Fuller (hip) was a limited participant at Wednesday's practice. Fuller brought in two of three targets for 33 yards in the Texans' 20-13 win over the Bills on Sunday. Analysis: Fuller generated minimal production for the second straight game, although his 16.5 YPC was actually his second-highest of the season. The 24-year-old opened the season by getting into the end zone in each of the first three games, and although he's now failed to score in two consecutive contests, his elite speed renders him a high-upside play on a weekly basis. 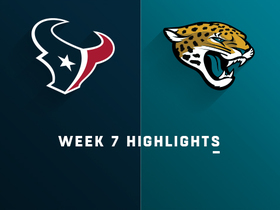 He'll have a potentially tough time boosting his numbers Week 7, however, as the Texans face the Jaguars in a divisional matchup. Fuller (hamstring) does not carry a Week 6 injury designation after practicing in a limited fashion all week. Fuller (hamstring) was a limited participant in Thursday's practice. Fuller (hamstring) was listed as a limited participant at Wednesday's practice. Analysis: The Texans also listed fellow receivers Keke Coutee (hamstring) and DeAndre Hopkins (foot) as limited, but it's suspected that none of the trio are in danger of missing Sunday's game against the Bills. Fuller played 77 of the Texans' 80 offensive snaps in their 19-16 overtime win over the Cowboys in Week 5, hauling in two of his three targets for 15 yards. 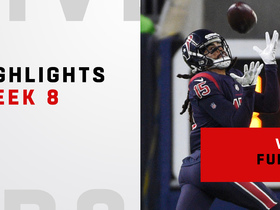 Fuller caught two of three passes for 15 yards in Sunday's 19-16 overtime win over Dallas. Fuller (hamstring) is listed as active Sunday night against the Cowboys. Analysis: He's joined on the field by Keke Coutee (hamstring), who like Fuller headed into the contest listed as questionable. 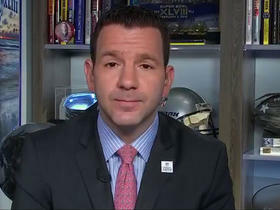 Per Ian Rapoport of NFL Network, Coutee was more of a game-time call than Fuller, so as long as Fuller avoids any in-game setbacks, he'll look to maintain his strong chemistry with QB Deshaun Watson. Fuller has scored a TD in each of his three games this season, while hauling in 17 of 25 targets for 263 yards. Fuller (hamstring) is expected to suit up Sunday night against the Cowboys, Ian Rapoport of NFL Network reports. Analysis: The same report suggests that fellow wideout Keke Coutee (hamstring) is a "legit game-time decision" for Sunday's 8:20 ET kickoff. However, barring any unexpected setbacks for Fuller, it looks like the Texans should have their top pass-catching duo available in Week 5, with DeAndre Hopkins (thumb/ankle/hamstring) having been removed from the team's injury report Friday. Fuller (hamstring) is expected to play Sunday night against Dallas, but the Texans want to test him pre-game before declaring his availability, Adam Schefter of ESPN reports. The Texans and Cowboys kick off 8:20 p.m. EDT. Analysis: The late start Sunday makes Fuller a risky option. If Fuller and/or Keke Coutee (hamstring) are unable to play, Sammie Coates and/or Vyncint Smith will move up the depth chart. Fuller (hamstring) is listed as questionable for Sunday's game against the Cowboys. Fuller (hamstring) managed a limited practice Thursday. Fuller relayed Thursday that his hamstring isn't bothering him at this stage of the week and if that positive trend continues, he should play Sunday night against the Cowboys, Sarah Barshop of ESPN.com reports. Analysis: The injury is limiting Fuller in practice, so he seems likely to draw a "questionable" designation for the contest. Given the 8:20 ET start time, it would be ideal to know in advance of Sunday's NFL slate if he's actually closer to probable than questionable. Fuller closing out the practice week on a setback-free note Friday would certainly help ease the concerns of those considering the wideout in Week 5 fantasy lineups. Fuller (hamstring) was a limited participant at Wednesday's practice. Coach Bill O'Brien noted after the Texans' 37-34 overtime win over the Colts on Sunday that Fuller probably could have re-entered the game following his exit due to a hamstring injury, Aaron Wilson of the Houston Chronicle reports. Fuller exited Sunday's game against the Colts with a hamstring injury, Sarah Barshop of ESPN.com reports. Analysis: Prior to his exit from the contest, Fuller logged four catches for 49 yards and a TD. Keke Coutee is in line for added targets while Fuller is sidelined. Fuller (hamstring) doesn't have a designation for Sunday's game at Indianapolis. Analysis: As he has all season, Fuller has battled a hamstring injury, which limited in practice this week. That said, his availability for Week 4 isn't in question. The Colts have actually been tough on opposing wideouts this season, allowing just 6.9 YPT and two touchdowns to the position, but Fuller enters with nine TDs in his six games working with Deshaun Watson. Fuller (hamstring) was a limited participant at Wednesday's practice, Aaron Wilson of the Houston Chronicle reports. Analysis: The Texans are still listing Fuller on the injury report after he put up back-to-back games with more than 100 yards and a touchdown. 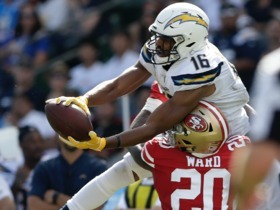 He was on the field for every single offensive snap during Sunday's 27-22 loss to the Giants, showing no sign of the hamstring injury that held him out back in Week 1. The speedy wideout should be fine for Sunday's game in Indianapolis. Fuller caught five of a team-high 11 targets for 101 yards and a touchdown in Sunday's 27-22 loss to the Giants. Analysis: Fuller finished with one more target than DeAndre Hopkins. The oft-injured wide receiver has built up an incredible rapport with quarterback Deshaun Watson -- in six games played together, the duo has linked up for nine touchdowns, including at least one in each. That success includes back-to-back games with over 100 yards and a touchdown for Fuller. He should earn plenty of fantasy consideration against the Colts next week. Fuller (hamstring) does not carry an injury designation for Sunday's game against the Giants. Analysis: In his return to action Week 2, Fuller quickly rekindled his rapport with QB Deshaun Watson, hauling in eight of his nine targets for 113 yards and a TD. DeAndre Hopkins remains the Texans' top option in the passing game, but Fuller is the team's clear-cut No. 2 option on that front and therefore a candidate to see a steady target volume, assuming he can avoid any injury setbacks. Fuller (hamstring) remained limited at practice Thursday. Analysis: There's been nothing to suggest that Fuller's Week 3 status is in doubt, though that notion would be solidified if Friday's final injury report leaves him minus an injury designation for Sunday's game against the Giants. Analysis: Fuller played through the same injury in Sunday's 20-17 loss to the Titans, catching eight of nine targets for 113 yards and a touchdown while playing 82 percent of the offensive snaps. He may take it easy in the Texans' next two practices to avoid any setbacks before facing the Giants in Week 3. Fuller (hamstring) snatched eight of nine targets for 113 yards and a touchdown during Sunday's 20-17 loss to Tennessee. Fuller (hamstring) is listed as active for Sunday's game against the Titans. 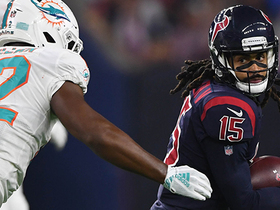 Analysis: In his return to action after sitting out the Texans' season opener, Fuller should step right into a key role opposite DeAndre Hopkins, an assignment that could yield immediate fantasy dividends, assuming Fuller avoids any in-game setbacks with his hamstring. Though Fuller (hamstring) and fellow wide receiver DeAndre Hopkins (foot) are listed as questionable on the Texans' Week 2 injury report, both are expected to play Sunday against the Titans, Aaron Wilson of the Houston Chronicle reports. Analysis: Per Sarah Barshop of ESPN.com, coach Bill O'Brien has expressed confidence that Fuller will make his season debut Sunday. In that context, Fuller should step right into a starting role opposite Hopkins, an assignment that could yield immediate fantasy dividends, assuming no setback's with Fuller's hamstring. Head coach Bill O'Brien indicated Friday morning that he is confident Fuller (hamstring) will be able to play Week 2, Sarah Barshop of ESPN.com reports. 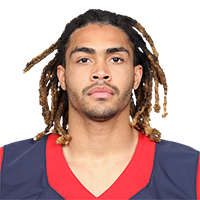 Analysis: Fuller sat out the Texans' season opener due to his injury, but it appears that could be the extent of his absence. He was able to log limited practice sessions Wednesday and Thursday, and if he is able to do at least that much Friday, he would seemingly be on track to make his 2018 debut Sunday against the Titans. Fuller (hamstring) was a limited participant at Thursday's practice. Analysis: Fuller's following the same routine he did last week when he ended up being an inactive for Week 1. He remains hopeful to play Week 2 against the Titans, Sarah Barshop of ESPN.com reports, and told Barshop he feels confident of such an outcome. Fuller (hamstring) was a limited practice participant Wednesday and is expected to suit up Sunday against the Titans, Aaron Wilson of the Houston Chronicle reports. Analysis: Fuller was limited at practice all last week and didn't end up playing, so fantasy owners will probably want to see him record at least one full session before confidently using him in Week 2 lineups. DeAndre Hopkins (foot) was also listed as a limited participant Wednesday, but he reportedly was moving around well during practice. Fuller has two more chances to return to log full participation before Sunday's game. Coach Bill O'Brien said Monday that he's hopeful Fuller (hamstring) will return for Week 2 against the Titans, Sarah Barshop of ESPN.com reports. Fuller (hamstring) is officially out for Sunday's game against the Patriots, per Adam Schefter of ESPN. Analysis: Fuller's Week 1 absence figures to magnify the importance of star wideout DeAndre Hopkins, with Aaron Wilson of the Houston Chronicle noting that Bruce Ellington and undrafted rookie Vyncint Smith are also candidates to see added work in the Houston offense Sunday opposite Hopkins. Fuller (hamstring) is considered unlikely to play Sunday against the Patriots, but wants to test out his injured leg in pregame warmups before making a final decision, a source informed Adam Schefter of ESPN. Analysis: Fuller is listed as questionable on the official injury report. He was able to practice all week, albeit in a limited fashion, so it's a little surprising he's tentatively in line to miss Week 1. With Keke Coutee (hamstring) and Sammie Coates (hamstring) also listed as questionable this week, DeAndre Hopkins, Bruce Ellington and Vyncint Smith are currently the Texans' only healthy wide receivers. Fuller (hamstring) is listed as questionable for Sunday's game against the Patriots after being limited at practice all week, the Texans' official site reports. Fuller (hamstring) was listed as a limited participant Wednesday on the Texans' injury report. Fuller (hamstring) is participating in practice Wednesday, Aaron Wilson of the Houston Chronicle reports. Analysis: Fuller's participation is a good sign even though the Texans aren't suited up in pads. Another update will be available later Wednesday when the team releases its first injury report of the season. Fuller injured his hamstring shortly before Houston's third preseason game. Fuller (hamstring) is day-to-day leading up to the regular-season opener against the Patriots on Sept. 9. Analysis: Fuller was expected to play the third preseason game, but was scratched by a hamstring injury that occurred late in the practice week. When asked about Fuller's status for the season opener, coach Bill O'Brien was less than chatty: "Will's doing good. It's day-to-day. We'll see." With Fuller out of the lineup last week, Braxton Miller, who started in his place, and Bruce Ellington were featured with the first-team offense. Fuller won't play in Saturday's preseason contest against the Rams due to a hamstring injury, Aaron Wilson of the Houston Chronicle reports. Analysis: The move appears to be a precautionary measure after Fuller "tweaked" his hamstring in practice this week. Saturday likely was his final chance to make an impression during exhibition season, not that one was badly needed with a spot on the 53-man roster guaranteed for the third-year pro. That said, with another injury holding him back, Fuller's availability for Week 1 and beyond will be of great interest for this Deshaun Watson-led offense. Fuller is preparing to make his preseason debut Saturday against the Rams, Aaron Wilson of the Houston Chronicle reports. Fuller reported to training camp 15-to-20 pounds heavier from last season, Aaron Wilson of the Houston Chronicle reports. Fuller (knee) is healthy for the start of OTAs, the Houston Chronicle reports. 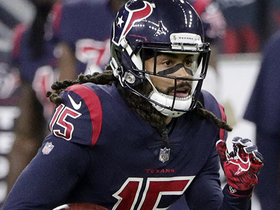 Analysis: Fuller displayed a promising rapport with rookie quarterback Deshaun Watson (knee) last season, nabbing seven touchdown passes between Weeks 4 and 7. If he manages to stay on the field during the 2018 campaign, the third-year wideout should provide the Texans with a speedy option to pair with Deandre Hopkins for Watson. Fuller caught seven passes of 20-plus yards last season and two of 40-plus yards, all of which came with Watson at the helm. Teammate DeAndre Hopkins said "the sky's the limit" for Fuller (knee) if the latter can stay healthy in 2018, Sarah Barshop of ESPN.com reports. "[Fuller]'s fast, he's getting stronger in the weight room, he's actually dedicating his time toward football," Hopkins said Tuesday. "I think he's going to have the best season." Fuller is scheduled to have a minor procedure on his knee in the near future, John McClain of the Houston Chronicle reports. Fuller, who left the regular-season finale with a knee injury, remained on the sideline in full pads, Aaron Wilson of the Houston Chronicle reports. That Fuller remained on the Texans' bench for the rest of the game suggests his removal was a precautionary decision. Fuller has been ruled out for the remainder of Sunday's game against the Colts due to a knee injury. Analysis: Fuller's absence for the remainder of the Texans' season finale leaves the team extremely thin at wide receiver, as fellow starter DeAndre Hopkins (calf) is sidelined as well. Braxton Miller, Chris Thompson and Cobi Hamilton will be in line for increased roles throughout the remainder of Sunday's contest with quarterback T.J. Yates at the helm. Heading into Week 17, Fuller had caught 26 receptions for 406 yards and seven touchdowns on 48 targets in nine games during his 2017 campaign. Fuller is expected to serve as the Texans' top wideout Sunday against the Colts with DeAndre Hopkins (calf) unlikely to play, Aaron Wilson of the Houston Chronicle reports. Fuller caught one of five targets for 10 yards in Monday's 34-6 loss to the Steelers. Fuller caught all five of his targets for 44 yards in Sunday's 45-7 loss to the Jaguars. Fuller turned five targets into three catches for 26 yards in Sunday's 26-16 loss to San Francisco. Analysis: Fuller finished a distant second in receiving yards to DeAndre Hopkins, who turned 16 targets into 11 catches for 149 yards and two touchdowns. 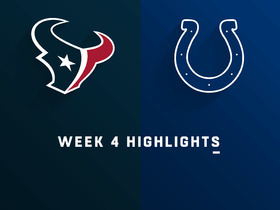 T.J. Yates took over at quarterback for Tom Savage (concussion) in the second quarter of this contest, but the change in personnel didn't impact the usual approach of forcing the ball to Hopkins in almost all situations. Fuller (ribs) doesn't have a designation on the final injury report for Sunday's game against the 49ers. Analysis: After returning to practice Wednesday as a limited participant, Fuller managed full sessions Thursday and Friday to close out the week. He lost most of his appeal when Deshaun Watson (knee) went down for the season, but Fuller does at least get a favorable matchup Sunday against a shaky group of cornerbacks. Texans head coach Bill O'Brien said Fuller (ribs) will likely play Sunday against the 49ers after the wideout practiced fully Thursday, Drew Dougherty of the Texans' official site reports. "I think it looks good for Will to be able to play," O'Brien said. "Yeah, as we sit here right now, no doubt." Texans head coach Bill O'Brien said he's hopeful Fuller (ribs) can play Sunday against the 49ers, Drew Dougherty of the Texans' official site reports. Fuller (ribs) didn't practice Friday and has been ruled out for Sunday's game against the Titans. Fuller (ribs) was listed as non-participant on Wednesday's practice estimation based on the Texasn' walk-through. Analysis: Fuller last suited up in Week 10 and his injury designation Wednesday confirms that his status for Sunday's game against the Titans remains cloudy. More on his status Thursday when the Texans hold their first full practice of the week. The Texans have officially ruled out Fuller (ribs) for Monday's matchup against the Ravens. Analysis: Fuller, who is recovering from cracked ribs, was considered unlikely to play Monday. Now that he has officially been ruled out, look for Bruce Ellington and Braxton Miller to continue receiving increased snaps alongside top wide receiver DeAndre Hopkins. Fuller (ribs) isn't expected to play Monday at Baltimore, Aaron Wilson of the Houston Chronicle reports. Analysis: Fuller is in the midst of his recovery from cracked ribs, which has already cost him one game of a breakout season. Assuming he doesn't suit up Week 12, Bruce Ellington and Braxton Miller will continue to receive increased snap counts alongside DeAndre Hopkins (foot). Fuller (ribs) was listed as a non-participant at Thursday's practice. Analysis: When asked about the wideout's status Wednesday, coach Bill O'Brien acknowledged that he didn't know if Fuller will be able to play Monday night against Baltimore. If Fuller is unable to go in that contest and instead targets a return in Week 13, Bruce Ellington would once again be in line to see added work in the Texans offense this week. Fuller (ribs) attended Wednesday's practice, but wasn't wearing pads, Aaron Wilson of The Houston Chronicle reports. Texans head coach Bill O'Brien indicated Monday that he was unsure if Fuller (ribs) would be available for the team's Week 12 matchup with the Ravens, Sarah Barshop of ESPN.com reports. Fuller (ribs) has been ruled out for Sunday's game against the Cardinals. Analysis: In Fuller's absence this weekend, look for Bruce Ellington and Braxton Miller to pick up the bulk of the extra snaps and targets that don't go to top wideout DeAndre Hopkins, who could well be shadowed by ace cornerback Patrick Peterson. As a result, Ellington -- who logged four catches for 41 yards and a TD last Sunday against the Rams -- represents a decent Week 11 fantasy dart. Texans head coach Bill O'Brien confirmed that Fuller (ribs) is unlikely to play in Sunday's game against the Cardinals, Aaron Wilson of the Houston Chronicle reports. Analysis: O'Brien all but ruled the wide receiver out for Week 11 while speaking with the media shortly after Fuller missed Wednesday's practice. Bruce Ellington and Braxton Miller should pick up most of the extra snaps and targets alongside DeAndre Hopkins, who likely will be shadowed by Cardinals cornerback Patrick Peterson for most of the contest. Fuller (ribs) isn't practicing Wednesday and isn't expected to play in Sunday's game against the Cardinals, Aaron Wilson of the Houston Chronicle reports. Texans coach Bill O'Brien was non-committal when asked about Fuller's (ribs) availability for Sunday's game against the Cardinals, Aaron Wilson of the Houston Chronicle reports. Fuller was diagnosed with cracked ribs, but the damage isn't extensive and he may only miss one game, Ian Rapoport of NFL Network reports. Analysis: X-rays apparently revealed minor fractures, which likely will necessitate a short-term absence. Braxton Miller and Bruce Ellington took on extra work after Fuller left Sunday's loss to the Rams, with the latter catching four of eight targets for 41 yards and a touchdown. Fuller hasn't done much since Deshaun Watson suffered a torn ACL, catching four of 11 targets for only 47 yards in six quarters of play. Fuller said he will have X-rays on his sore ribs, Aaron Wilson of the Houston Chronicle reports. Fuller was forced out of Sunday's game against the Rams with a rib injury. Analysis: Prior to his exit from Sunday's contest, Fuller caught two of his three targets for 15 yards. With Fuller ailing, look for DeAndre Hopkins and Bruce Ellington to head the Texans' Week 10 wideout corps. It has also been confirmed that Fuller will not return to the game. Fuller (knee) wasn't listed on Friday's injury report and will be available for Sunday's game against the Rams in Los Angeles. Analysis: On Sunday against the Colts, Fuller earned a season-high 71 offensive snaps and was targeted eight times for the second consecutive game. However, the exchange of Deshaun Watson for Tom Savage yielded no end-zone visits and just two receptions for 32 yards. With the Rams' ninth-ranked pass defense on tap, Fuller will likely find it difficult to uphold his standard from the four games prior to Watson's season-ending ACL tear. 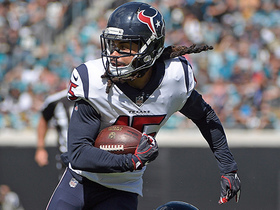 Fuller was on Wednesday's injury report with a knee injury, but participated fully in the practice, Aaron Wilson of the Houston Chronicle reports. Analysis: Given Fuller's full participation, seeing him on the injury report is nothing to worry about at this time, but it is worth noting. Fuller caught two of his eight targets in last week's loss to the Colts. Fuller turned eight targets into just two catches for 32 yards in Sunday's 20-14 loss to the Colts. Analysis: Fuller tied with Bruce Ellington for second on the team in targets behind DeAndre Hopkins (16). While Fuller's volume should be safe, his ceiling has taken a major hit with Tom Savage regaining the starting quarterback job in the wake of Deshaun Watson's torn ACL. The 2016 first-rounder still has plenty of value, considering he's tallied seven touchdowns in five games played this season. Fuller will catch passes from Tom Savage instead of Deshaun Watson (knee) Sunday against the Colts, likely resulting in a downturn in efficiency, Mike Clay of ESPN.com reports.